On Sunday, December 6th, 1998, Hugo Rafael Chávez Frías became president of one of the richest countries in Latin America. His unfulfilled promises have led to one of the darkest episodes in the history of a country that is now the poorest in the region. Talking about Hugo Chávez Frías guarantees, without fail, a series of ideological clashes. A man transformed into a hero, a new Father of the Nation, and an icon at international level, are radically opposed to the president under whom many of us saw the country fracture and ultimately be destroyed. Even today, 20 years after his massive victory in the presidential elections of 1998, there are those who light candles in front of his portrait, while millions of Venezuelans attempt to leave the country, taking weeks to do so on foot. If Hugo Chávez perpetuated anything in Venezuela, it was the radical separation of the people in two realities, something against which he promised to fight that December 6, 1998, but that became one of his worst legacies. Few people could even locate Sabaneta (Barinas) on the map, a small city of 30,000 inhabitants, with an area of only 10 square kilometers. Hugo Chávez Frías was born in this town, to two primary school teachers, in 1954. 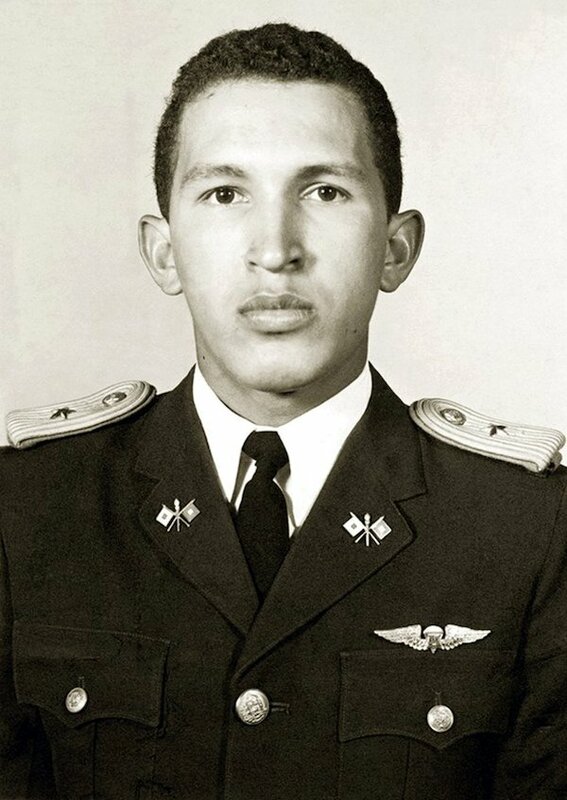 Trained at the Military Academy of Venezuela where he graduated with honors, Chávez continued his education in Communications and Electronics, Armory, Political Wars and Science between the 1970s and 1990s. Since then, the young soldier rubbed shoulders with the Venezuelan clandestine left, and in 1982 he founded the Bolivarian Revolutionary Movement 200, along with Felipe Antonio Acosta Carlés, Yoel Acosta Chirinos, Francisco Arias Cárdenas, Jesús Urdaneta Hernández, and Raúl Isaías Baduel, together with whom he swore to "reform the Army and start a struggle to build a new Republic." For the moment, Venezuela was living the consequences of the so-called Pact of Puntofijo, where the established political parties agreed to guarantee "a democratic life" in the country after the dictatorship of Marcos Pérez Jiménez. The radical exclusion of the Communist Party of Venezuela, and the oil boom of the 1970s, divided the country ideologically and economically. Miguel Angel Lacabana wrote in 1990 that, the government administration didn’t know how to take advantage of the country's economic development, and the currency devaluation that ensued caused one of the worst rates of unemployment and poverty in the country's history. Amid a difficult-to-contain external debt, and several economic reforms, the common citizen's minimum wage plummeted, resulting in the social outbreak of February 27, 1989, known as El Caracazo. The strong government repression was the straw that broke the camel’s back for the group of young rebels who, blinded by an outdated ideology, decided to stage a coup d'etat. 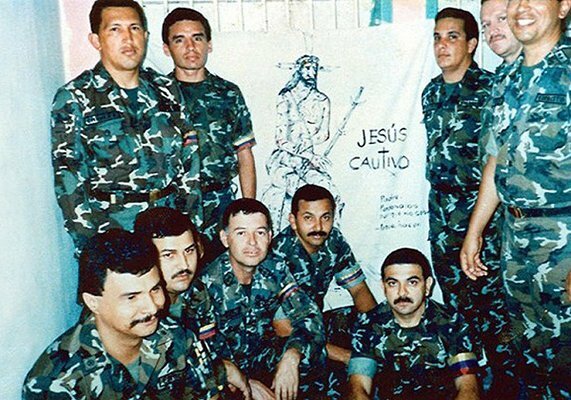 Hugo Chávez in the company of those who were part of the coup against Carlos Andrés Pérez on February 4, 1992. Photo: archive. Hugo Chávez was a man of great oratory skill. And, like so many other historical figures, much of his political approach was, in fact, drafted behind bars. After having written his first manifesto in 1991 (called Transitional Government Project), the commander and his followers organized an attempted coup against the government of Carlos Andrés Pérez on February 4, 1992. The coup was a fiasco, but Chávez had his first media platform to speak to the country. When he was apprehended, he asked to surrender on television, where he took the moment to tell the country that a new Venezuela was needed. Thus began his political career. During his two years in prison, then-President Pérez was impeached and extradited. A new president by the name of Rafael Caldera took power who, to gain the support of a political left growing in popularity, pardoned Chavez. Many of us who lived through his Revolution lament the day that Caldera decided to free the man who would go on to destroy Venezuelan democracy in less than 30 years. Venezuela needed many things, but the most urgent one was a savior - even if it was a false one. The high rate of illiteracy in the country, and the poverty and centralization of development in a handful of cities, created ideal conditions for a personality like Chávez's to gain the massive support of rural Venezuela, forgotten for so many years by the ruling governments. Supported by strategists such as Luis Miquilena and José Vicente Rangel, Chavez began touring the country as soon as he left prison, explaining a "revolutionary" project to "reform the Republic." He baptized his party as the Fifth Republic Movement (MVR), and he promised to create a National Constituent Assembly, to "give power to the people." On December 6, 1998, Hugo Chávez was elected president with 56.5% of the votes, winning by an historic margin in the Venezuelan presidential elections. 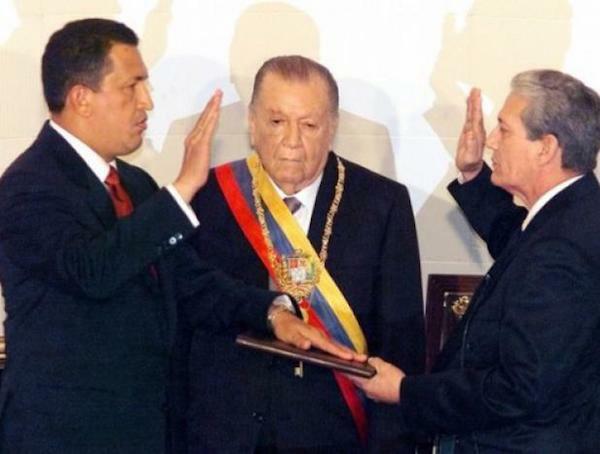 Chávez is sworn in as president on February 2, 1999. The debate remains whether Chávez really wanted the best for the country, or if he was a textbook example of tyranny. Since the beginning of his government, however, nothing was transparent. The constituent Referendum of April 1999 was approved with 81% of the votes, which gave rise to the Constitution of the Bolivarian Republic of Venezuela, considered one of the best in the world, although the government itself never respected it. But, on July 30th, 2000, the general elections to confirm the new public powers were deemed "not transparent" by the Carter Center. As of that moment, the National Electoral Council was placed under the power of the executive, eliminating the true voice of the Venezuelan citizens. Three years later, Chávez decided to control the currency exchange in the country, preventing Venezuelans from having direct access to dollars through the so-called Currency Administration Commission (CADIVI), a model almost identical to that of former president Luis Herrera Campins (RECADI), which during the 1980s became one of the most important mechanisms of corruption and illicit enrichment in the country's history. Chavez was reusing mechanisms of curruption disguised as a Social Revolution, deceiving the people once again. It was from then on that he began his close relations with such foreign leaders as Saddam Hussein in Iraq, Fidel Castro in Cuba, and Vladimir Putin in Russia. While in power, he set up a socialist facade, between social assistance centers, literacy programs and an agrarian reform. His differences with the Armed Forces, and with the Confederation of Workers of Venezuela (CTV) led to a failed coup in 2002, which only reaffirmed Chávez's image as a hero in front of his followers. However, the protests did not subside, and for several months the workers' unions called for the shutdown of the country. The critical moment was when oil workers with the Petróleos de Venezuela (PDVSA) paralyzed the economic heart of the country. The government replaced the workers and reactivated the country. Little by little, Chávez’s regime took control of properties at the national level, thanks to the so-called Land Law, closed several media outlet, and broke national production, transforming Venezuela into a country dependent almost exclusively on imports. With the control of the National Electoral Council, Chávez held power for more than a decade, promising that his Socialism of the 21st century would last forever. "Homeland, Socialism or Death", he shouted frequently. What few knew was that this slogan would become a harsh reality. The almost complete nationalization of companies, their ownership passing into the hands of close friends, destroyed the country's economic growth. This was obscured by the high oil prices the government counted on for many years. The Chavez government preferred loyal, but incapable, people to head the companies, instead of professionals who could organize another strike. This destroyed the infrastructure of the large dams, plunging Venezuela into an energy crisis, and forcing the country to live in an eternal electric rationing. With the country on the verge of a food crisis and a handicapped opposition, Chavez had no issue remaining in power for the rest of his life. But, he was already suffering from cancer, and on March 5, 2013, then-Vice President Nicolás Maduro announced that Chávez had died. Other accounts said he died on December 30th in Havana. His illness was no secret to anyone, since he devoted much of his final years to trying to contain it in specialized centers in Cuba. The fanfare of his death was one of the most impressive Soviet-style propaganda deployments in the history of the region. 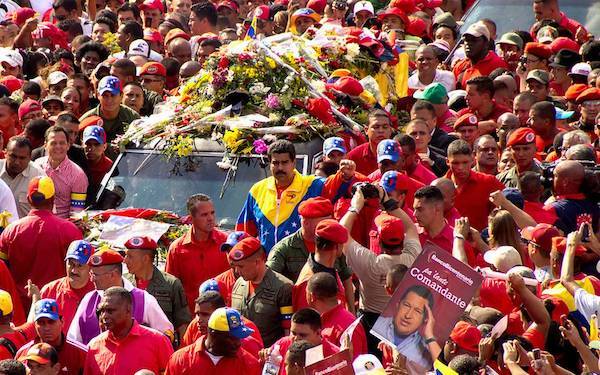 The then Vice President Nicolás Maduro accompanies the coffin of Hugo Chávez Frías. The goal was to immortalize the image of Chávez as a hero of the people, and to disguise the crisis which he had plunged the country into, which would become even more evident in the ensuing months. Before Chávez, nothing was perfect. There was a significant inequality, there were corrupt governments, but perhaps worst of all was the difficulty that a large part of the population had when it came to accessing education and healthcare. No prey is easier for cheap ideology than a country that is both ignorant and sick. 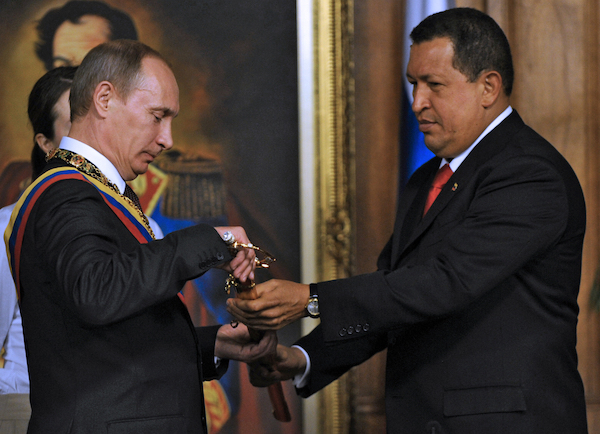 Whatever Chávez accomplished with his hands, his pocket later pulverized it. The so-called Missions (Barrio Adentro, Robinson, Ribas, Sucre) that focused on trying to give the people what they deserved, was but a facade while his family and his followers emptied the country's coffers. The Chávez government inherited a country with an unemployment rate of 15 percent - this was drastically reduced in the middle of its mandate while he maintained the informal labor rate at 44 percent, which meant that only 35% of the population was economically active. During his administration, school enrollment remained stable, with no further growth in the public offer and, until 2010, the general health index of the population was also in stable ranges. Since then, the government has prevented the dissemination of official data. We do know, however, that the homicide rate per 100,000 inhabitants has skyrocketed since 1999, transforming Venezuela into one of the most dangerous countries in the world. If between 1979 and 1998 the Venezuelan inflation remained at an average of 9 percent, the Venezuela that Chávez left behind made its debut with a super-inflation of more than 100 percent. Currently, it is projected that 2018 will close with an inflation of 13,000%. 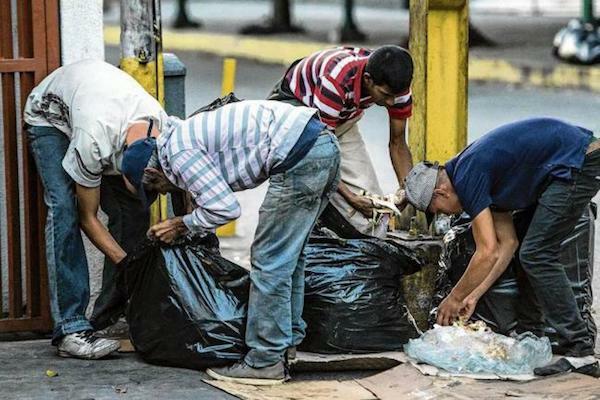 According to the International Monetary Fund, "the Venezuelan economy has completely disappeared" since 2013, and the country now suffers the worst economic, political and humanitarian crisis in its history, with an indiscriminate shortage of food and medicines. The Chavist communism became, at last, a reality: misery is common to all. As of August 2018, more than 3 million Venezuelans have fled the country any way possible, escaping poverty and violence. This is not just the negligence of Nicolás Maduro’s government. If Chávez were alive, the crisis would be the same, oil prices would have fallen just the same, and the country's infrastructure would be just as collapsed. But, perhaps people would still believe in the false Messiah.